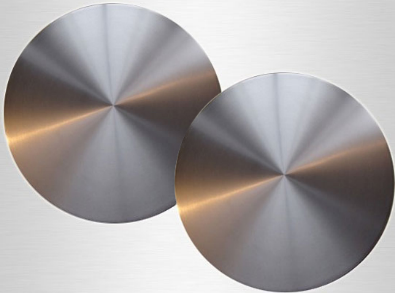 ﻿ Tantalum Sputtering Target - Disc,Tantalum Sputtering Target,Baoji Towin Rare Metals Co., Ltd.
Tantalum sputtering target is mainly applied in semiconductor industry and optical coating industry. We manufacture various specifications of tantalum sputtering targets upon the request of customers from semiconductor industry and optical industry through vacuum EB furnace smelting method. By wary of unique rolling process, through complicated treatment and accurate annealing temperature and time, we produce different dimensions of the tantalum sputtering targets such as disc targets, rectangular targets and rotary targets. Moreover, we guarantee the tantalum purity is between 99.95% to 99.99% or higher; the grain size is below 100um, flatness is below 0.2mm and the Surface Roughness is below Ra.1.6μm. The size can be tailored by the customers’ requirements. We control our products quality through the raw material source till the whole production line and finally deliver to our customers in order to make sure you purchase our products with stable and same quality each lot. We are trying our best to innovate our techniques, enhance the product quality, increase the product utilization rate, lower down the costs, improve our service to supply our customers’ with higher quality products but lower purchase costs. Once you choose us, you will obtain our stable high quality products, more competitive price than other suppliers and our timely, high efficient services. We produce R05200, R05400 targets which meet ASTM B708 standard and we can make targets as per your provided drawings. Taking advantages of our high quality tantalum ingots, advanced equipment, innovative technology, professional team, we tailored your required sputtering targets. You may tell us all your requirements and we dedicated in manufacturing upon your needs. Furthermore, we are glad to provide you the trade in service. We can recover your used sputtering targets to help you with supplying a same new one with lowest price. You are warmly welcome to tell your ideas or requirements to us in a win-win prospect. For more inquiry and information, please don’t hesitate to contact us at any time. We also expect your visit to our factory to witness our whole infrastructure, technology, products and our team.